The release week July 25th Blu-ray Cover Art Gallery for 2017 features top title The Boss Baby from Fox Home Entertainment. 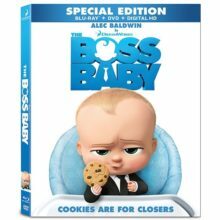 You will also find The Boss Baby 3D and a 4K Ultra HD release for The Boss Baby from Fox this week, along with the movie Gifted. The other big title this week is Ghost in the Shell from Paramount Home Entertainment. Again there is a Ghost in the Shell 3D and a 4K Ultra HD edition of Ghost in the Shell from Paramount this week. Also watch for new release Unforgettable from Warner Home Video, and television release Girls: The Complete Sixth Season from HBO Home Video. Indie and classic titles include the anime release Dragon Ball Super: Part One from FUNimation Productions, Lost in America from the Criterion Collection, Silkwood from Kino Lorber Incorporated, and You Only Live Once from Classicflix. 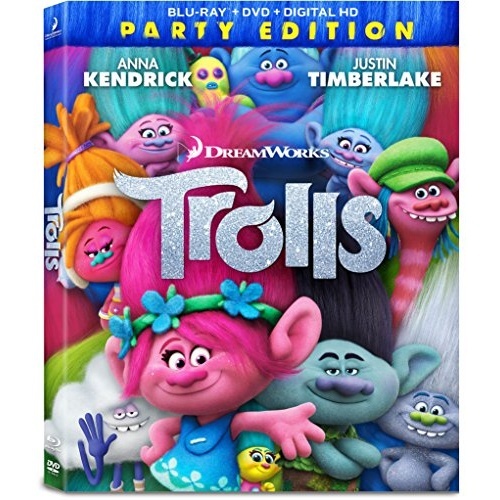 The release week February 7th Blu-ray Cover Art Gallery for 2017 features top title Trolls from DreamWorks and Fox Home Entertainment. Fox also has a 4K Ultra HD release for Trolls that features Dolby Atmos audio. Additionally Fox has some new box sets, including the Taken Collection, Night at the Museum Collection, Die Hard Collection, Alvin and the Chipmunks 4-Movie Collection, and the Independence Day 2-Movie Collection. Lionsgate Home Entertainment is releasing a 4K Ultra HD version of the title John Wick, as well as a performance movie Leonard Cohen: I’m Your Man featuring the late singer-songwriter. Watch for new titles Loving, Desierto, and Almost Christmas from Universal Studios Home Entertainment. Universal also has new editions for King Kong, The Mummy series, and The Fast and the Furious series. Sony Pictures Home Entertainment has The Eagle Huntress, a 50th anniversary release for Guess Who’s Coming to Dinner, and television title Penny Dreadful: The Complete Series on Blu-ray this week. Warner has Love in the Afternoon from the Warner Archive Collection, Vice Principals: The Complete First Season from HBO Home Video, and new packaging for monster movies including Pacific Rim. Also watch for television title Quantum Leap: The Complete Series from Mill Creek Entertainment. Indie titles include Cameraperson from Criterion Collection, The Sicilian Clan and Little Sister from Kino Lorber Incorporated, and Girl Asleep from Oscilloscope Laboratories. The release week June 28th Blu-ray Cover Art Gallery for 2016 features top title Kung Fu Panda 3 from Fox Home Entertainment. Also watch for new release Eye in the Sky from Universal Studios Home Entertainment. Paramount Home Entertainment has the new release title Whiskey Tango Foxtrot. The Criterion Collection has the Kubrick film Dr. Strangelove or: How I Learned to Stop Worrying and Love the Bomb on Blu-ray this week, along with Clouds of Sils Maria. Foreign titles include the Thai film Cemetery of Splendor from Strand Releasing and Romanian film Aferim! from Big World Pictures. Kino Lorber Incorporated has animation from Friz Freleng and David DePatie this week with Tijuana Toads and Roland and Rattfink. June 28th, 2016 marks the arrival of the Fox Home Entertainment release for Kung Fu Panda 3. This computer-animated comedy martial arts movie was produced by DreamWorks Animation. The film was written by Jonathan Aibel and Glenn Berger, and is the third installment in the Kung Fu Panda franchise. The story follows Dragon Warrior Po and the Furious Five battling a foe from the Spirit Realm. 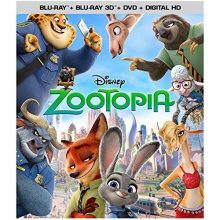 The release week June 7th Blu-ray Cover Art Gallery for 2016 features top title Zootopia from Walt Disney Studios Home Entertainment. Disney also has a Blu-ray 3D edition of Zootopia out this week. Paramount Home Entertainment has the Michael Bay movie 13 Hours: The Secret Soldiers of Benghazi, Charlie Kaufman’s Anomalisa, and a new release for Star Trek II: The Wrath of Khan in a director’s cut this week. Watch for television titles Rick and Morty: Season 2 and Roots from Warner Home Video, who also have John Wayne movies this week including Chisum. Warner is also distributing HBO television titles, with Steelbook versions of Game of Thrones: The Complete Fourth Season and Game of Thrones: The Complete Third Season with magnets and Dolby Atmos audio, as well as Vinyl: The Complete First Season. The latest Coen brothers movie Hail, Caesar! hits Blu-ray this week from Universal Studios Home Entertainment, who is also distributing 99 Homes from Broad Green Pictures. Fox Home Entertainment has a big week, with The Martian: Extended Edition on Blu-ray Disc and both the original Independence Day and The Martian: Extended Edition on the new 4K Ultra HD format. Fox also has re-release titles, including The Descendants and Life of Pi on Blu-ray 3D. Other Ultra HD titles include both Ghostbusters and Ghostbusters II from Sony Pictures Home Entertainment, and the IMAX title Journey to Space from Shout! Factory, which also comes with the Blu-ray 3D edition. Foreign and art house titles this week include The Confirmation from Lionsgate Home Entertainment, Le Amiche from Criterion Collection, A War from Magnolia Home Entertainment, and The Best Intentions from Film Movement. Kung Fu Panda 3 has just been announced by DreamWorks Animation and Fox Home Entertainment for release on Blu-ray Disc June 28th, 2016. This computer-animated action comedy is the final DreamWorks Animation film before the NBCUniversal acquisition. It is of course the third installment in the Kung Fu Panda franchise. It is unusual in that it had a bigger opening weekend in China than in the US and Canada. 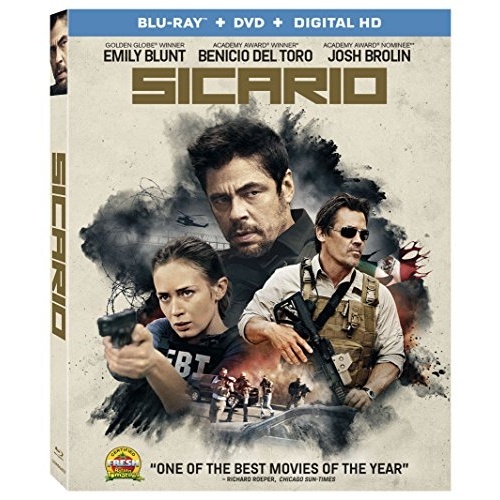 The release week January 5th Blu-ray Cover Art Gallery for 2016 features top title Sicario from Lionsgate Home Entertainment. Another key title is Blu-ray 3D release for the true story The Walk from Sony Pictures Home Entertainment, who also have The Walk in regular Blu-ray format. Sony also has Infinitely Polar Bear on Blu-ray this week. Also watch for horror titles The Green Inferno and The Visit from Universal Studios Home Entertainment. Warner has the television title True Detective: The Complete Second Season from HBO Home Video. Indie and foreign titles include The Complete Lady Snowblood from Criterion Collection, Flesh and Bone from Anchor Bay Entertainment, New Zealand film Deathgasm from MPI Home Video and Experimenter from Magnolia Home Entertainment. Also watch for the Film Noir title The Captive City from Kino Lorber Incorporated. Fox Home Entertainment is releasing their editions of Kung Fu Panda and Kung Fu Panda 2 from DreamWorks Home Entertainment this week. Another quiet week in the Blu-ray Cover Art Gallery this week, with the top title being the animated movie Home from DreamWorks Home Entertainment. 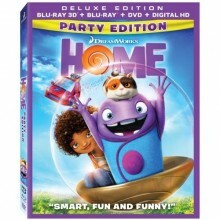 Home is also available in the Blu-ray 3D format. Warner Home Video has the DC Universe title Justice League: Gods and Monsters, along with Russel Crowe’s first feature as director with The Water Diviner on Blu-ray this week. Hockey fans will want to check out the Stanley Cup Champions 2015 from Cinedigm. Television titles include Helix: Season 2 from Sony Pictures Home Entertainment. Magnolia Home Entertainment has the Hungarian movie White God on Blu-ray this week. Kino Lorber Incorporated has a pair of Steve De Jarnatt movies with Miracle Mile and a guilty pleasure of mine, Cherry 2000. Meanwhile Severin Films has the film making documentary Lost Soul: The Doomed Journey of Richard Stanley’s Island of Dr. Moreau on Blu-ray this week. July 28th, 2015 will mark the arrival of the new DreamWorks Home Entertainment Blu-ray release for Home. This computer-animated buddy comedy is based on Adam Rex’s children’s book The True Meaning of Smekday. The screenplay was written by Tom J. Astle and Matt Ember. In the story an alien race called the Boov invades planet Earth, however a girl named Tip evades capture and goes on the run with a Boov named Oh. 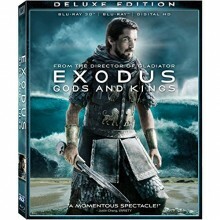 The top title this week is Exodus: Gods and Kings in Blu-ray 3D from Fox Home Entertainment, as well as a regular Blu-ray edition of Exodus: Gods and Kings. Fox also has the DreamWorka Animation release Penguins of Madagascar on Blu-ray Disc, a Penguins of Madagascar Blu-ray 3D and a Penguins of Madagascar gift set with Poppin’ Penguins. Sony Pictures Home Entertainment has the remake movie Annie on Blu-ray this week, as well a catalog titles including My Girl. Fans of classically animated movies will want to check out the Blu-ray release Song of the Sea from Universal Studios Home Entertainment. Chris Rock fans should get a kick out of the new film that he wrote and directed – Top Five from Paramount Home Entertainment. Indie Blu-ray titles this week include Halo: Nightfall from Microsoft Studios, The Lady from Shanghai and The Wild One from Mill Creek Entertainment, Ride the Pink Horse and François Truffaut’s The Soft Skin from Criterion Collection, Brazilian film The Way He Looks from Strand Releasing, and Werner Herzog’s Aguirre, the Wrath of God from Shout! Factory.